Disasters such as fires and floods can cause extensive damage and confusion. But the technicians of RestorationMaster respond quickly to prevent the damage from spreading while restoring peace of mind in the Frisco, TX area. Whether you are dealing with a mold infestation or your dryer had caught on fire, you can expect us to arrive to your property within 2 hours with all professional equipment and products needed to return your home or building to its original condition. Unfortunately, the damage from a natural disaster will continue to spread until treatment occurs. That’s why we are available 24/7 and will arrive in a timely manner to put the property back on track. Each of our technicians is IICRC-certified and has extensive experience when it comes to disaster restoration. We can also provide a number of cleaning services for all types of homes and buildings. Whether you need a 1-time or ongoing services, we will use professional cleaning products to renew the condition of the property. Don’t hesitate to give us a call at (972) 362-0999 if you live or work in the Frisco, TX area to inquire about one of our cleaning or restoration services. One of the most frequent problems in homes and buildings is water damage because there are so many potential internal and external causes. 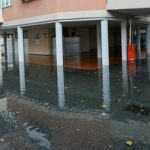 Water damage is commonly caused by heavy rain and flooding as well as plumbing issues such as leaking pipes and fixtures. 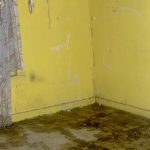 Regardless of the cause, excess water should be removed immediately to prevent more widespread damage or even mold growth. RestorationMaster provides water damage restoration services to remove water and moisture from homes and buildings in Frisco, TX and repair or restore the resulting damage. Our advanced drying equipment will remove water and moisture and we do the restoration work according to the Advanced Structure Drying Guidelines and IICRC procedures. At RestorationMaster, we are proud to provide residential and commercial property owners in Frisco, TX with industry-leading sewage cleaning services. 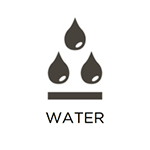 When uncontrolled contaminated water enters your property, time is of the essence to limit the damage. We are available 24/7 to respond rapidly and begin the restoration process. We will repair the source of the problem, decontaminate affected surfaces and materials, and salvage as many of your belongings as possible. 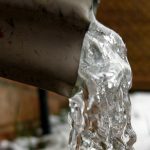 Homes and office spaces in Frisco, TX, are at risk of experiencing frozen pipes because of the common misconception that properties in Texas are immune to such disasters. As a result, many pipes can be found in poorly insulated areas, such as basements and attics. When a pipe freezes, the ice within can expand to burst the pipe, which will lead to a significant amount of water entering your building. At RestorationMaster, we provide water damage restoration services from frozen pipes to remove the water, salvage your belongings, and return affected areas to their original condition. Fires are very dangerous not only because of the extensive damage they cause, but also because they can happen very quickly, almost without warning. 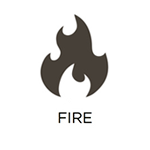 The flames themselves can cause charring and other damage with the extreme heat, and soot and smoke can continue to cause damage after the fire is extinguished. 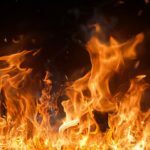 RestorationMaster provides fire and smoke damage restoration services to help homes and businesses in Frisco, TX recover after a fire. Our technicians will limit the extent of the damage immediately after a fire as well as repair and restore fire damaged structural elements, furnishings, and personal belongings. 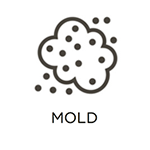 Certain disasters such as floods, mold growth, and fires among others may leave behind foul odors that can linger in the building even after the restoration work is done. These odors are very difficult to live with and extremely tricky to remove without professional assistance. RestorationMaster provides smoke and odor mitigation services in Frisco, TX to remove strong odors caused by mold, smoke, pets, or water damage. We use advanced odor removal equipment such as absorption technology, Nano carbon technology, and ozone technology to deodorize the structural elements and furnishings of your home or building. While mold is certainly frustrating to deal with, it must be removed by professionals. This is because it has the ability to release its spores when irritated, spreading to affect other areas within the property as well as cause severe health effects. If any home remedies are used to try to clean it, it can actually make matters worse. However, RestorationMaster is available in the Frisco, TX area to remove all cases of mold on commercial and residential properties. Our specialists have years of experiencing in effectively locating all sources and remediating them right away. They will then restore the building materials to their original conditions. Most kitchens and bathrooms have tile and grout surfaces for the walls or floor because they are very durable and moisture resistant. The finish on tile surfaces is what makes them moisture resistant and when the finish wears out, moisture, dirt, and mildew can stick to tile surfaces and penetrate the grout lines. RestorationMaster provides tile and grout cleaning services in Frisco, TX to remove dirt and debris from the tiles and grout lines. Our truck mounted cleaning system provides a deep clean that cannot be matched by sweeping or mopping to completely restore the look of your tiles. Patient satisfaction is at the heart of the care services provided by the healthcare industry and making sure your facility provides a clean and comfortable environment for recovery can really improve the level of satisfaction among your patients. To provide effective healthcare cleaning services, cleaning professionals must understand the importance of patient satisfaction as well as how to clean and disinfect different healthcare facilities in compliance with industry regulations. RestorationMaster provides professional healthcare cleaning services for a range of medical facilities in Frisco, TX. Our technicians undergo training through our PCCP training program to effectively clean and disinfect medical offices and facilities with an emphasis on patient satisfaction. At RestorationMaster, we provide complete commercial cleaning services to businesses in Frisco, TX. Through these services, you can receive one-time or regularly scheduled cleanings depending on your unique needs. When you work with us, you will benefit from the skill sets possessed by our highly trained and certified disaster restoration and cleaning professionals, as well as our time-tested sanitization procedures. No matter the condition of your operating space, we will make it look brand new. At RestorationMaster, we offer complete reconstruction services to property owners in need in Frisco, TX. No matter the cause or scale of the damage, we will respond rapidly to stabilize your building, and begin the restoration process. Our talented technicians and project managers understand what it takes to recover from severe property damage and will work diligently to get you back on your feet. From start to finish, we will work with you every step of the way to get the job done right. RestorationMaster is a proud provider of emergency board up services to homeowners and business owners in Frisco, TX. When a major storm, fire, flood, or similar event causes extensive property damage, your building is at risk of sustaining further damage before you are able to begin long-term restoration work. By strengthening damaged structural elements of your building, and covering any openings that have developed in your roofing, siding, windows, etc., we will effectively mitigate further risks. We can also help you plan for future reconstruction projects. 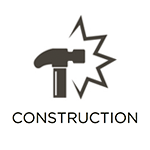 Construction and renovation projects are always major projects that can put an area of a home or building out of commission. Once these projects are finished, you may be eager to reclaim the area, but it must be thoroughly cleaned first to ensure that it is safe. Dust, nails, screws, sheetrock, and other debris are typically left behind at the jobsite and this debris can make the site hazardous. RestorationMaster can help clean and restore newly constructed areas of a home or building in Frisco, TX with our post construction cleaning services. 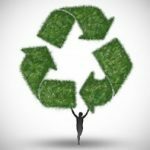 We will thoroughly clean the area using advanced cleaning products and ensure that all debris is removed so the area can be used again.